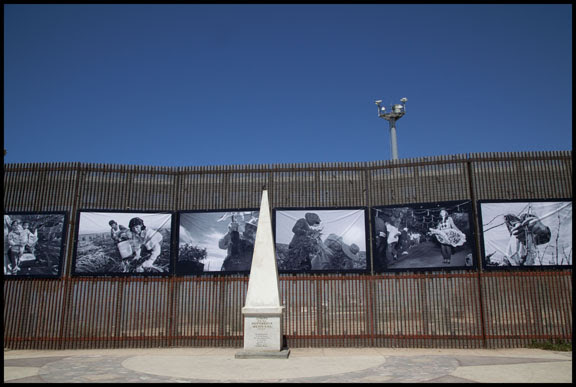 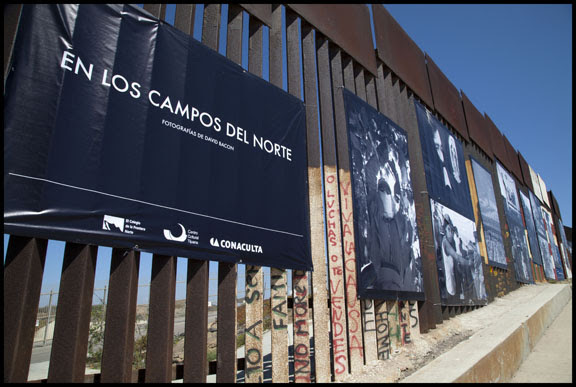 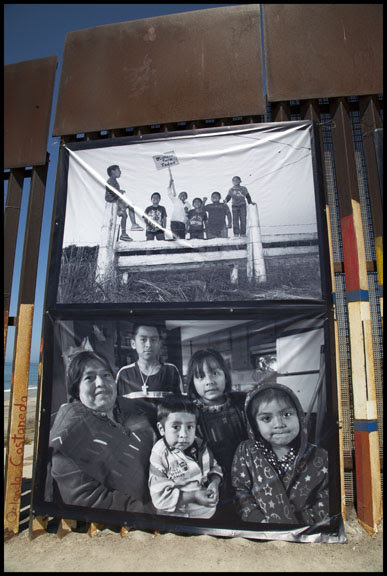 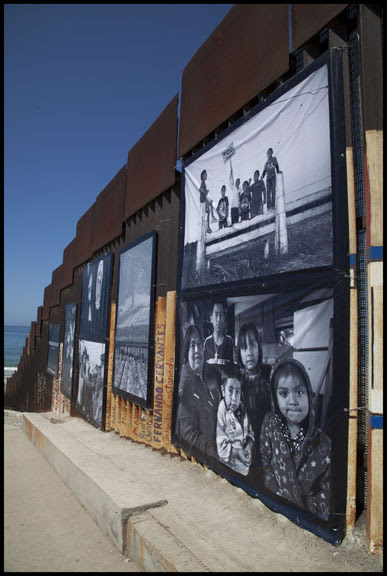 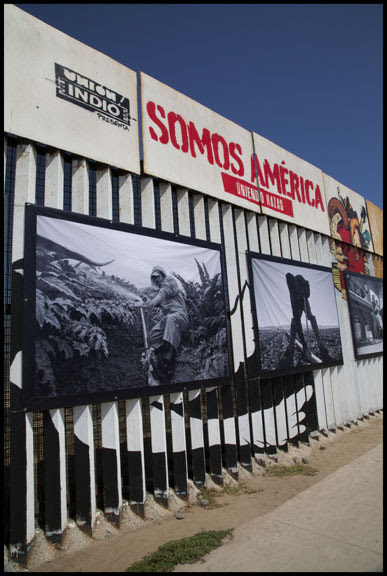 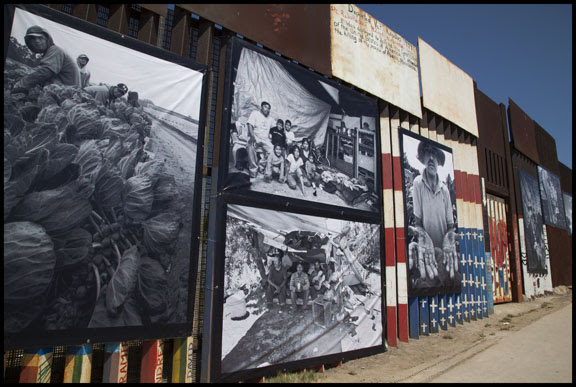 “En Los Campos del Norte” or “In the Fields of the North” is an exhibition of photographs of farm workers in the U.S., almost all migrants from Mexico, taken by David Bacon. 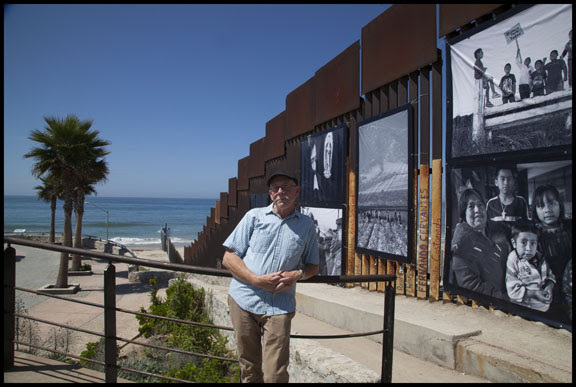 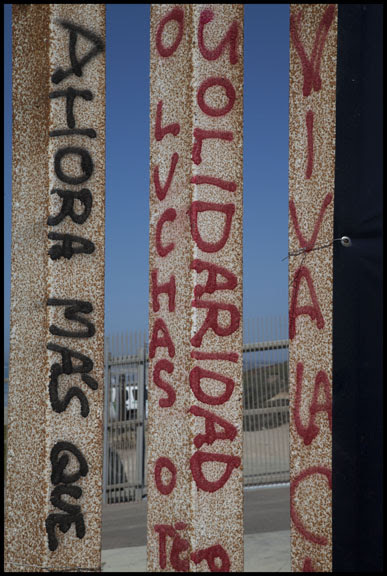 They are hung on the iron bars of the border wall, on the Mexican side of the wall between Mexico and the U.S. in Playas de Tijuana. 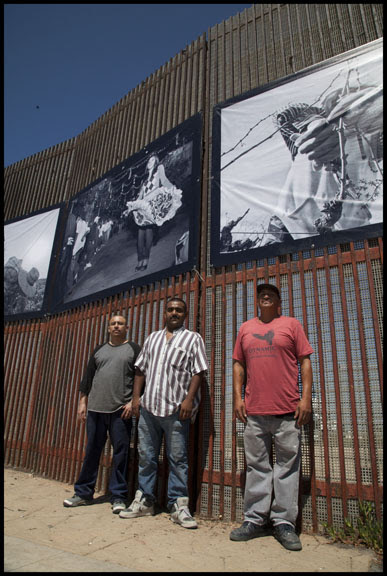 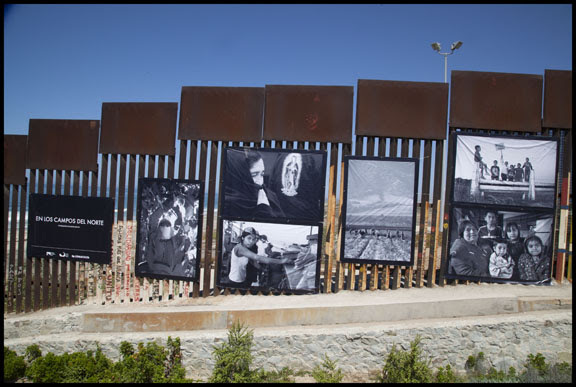 The exhibition was organized Jose Manuel Valenzuela and Gabriela Zamora of the Colegio de la Frontera (COLEF), and was printed and mounted by the Centro Cultural de Tijuana (CECUT).